An important accomplishment for some people in life includes becoming a homeowner. This gets even more exciting when they are able to acquire a property in the US. A former Nigerian rapper, Freestyle, who relocated abroad, recently took to his social media page to share the news of his latest achievement with his followers. 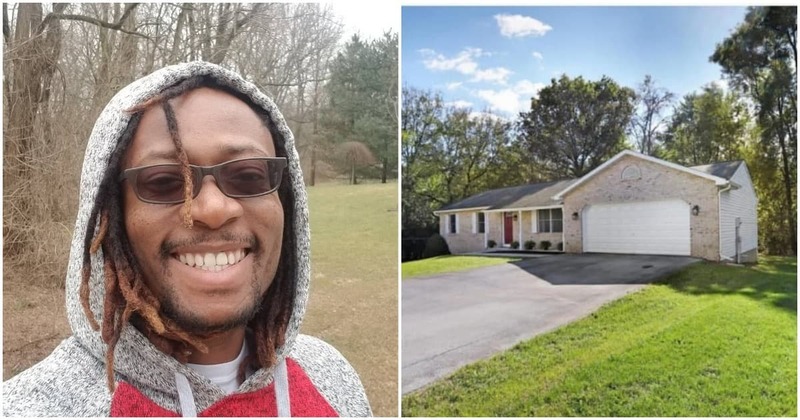 The rapper took to his Instagram page with a series of photos that showed the interior and exterior designs of his newly acquired home in Maryland. In one of the pictures, he was spotted striking a pose in front of the building. Freestyle added in his post that he had thought hard about posting the picture. He, however, decided to go ahead with his post because he wanted it to serve as an encouragement to other people. He advised that they should pray hard, keep a low profile and work hard. He accompanied the post with a caption in which he expressed that every new feat in life should be celebrated. His followers took to his comment section with many congratulating and extending their best wishes towards him. Also among those that felicitated with the rapper was Nigerian comedian, Owen Gee, who described him as a dear friend and while felicitating with him. twhyonline: Congratulations fam, e no easy @freestylethashogun More Winz..
princeoka4: Congratulations bro!! More blessings to come!! More grease to your elbow!! Meanwhile, Legit.ng had previously gathered the report of luxury hair entrepreneur, Chioma Goodhair, who had acquired a residential apartment in Ikoyi, a highbrow area of Lagos. The excited lady took to her Instagram page with the news of her new home.